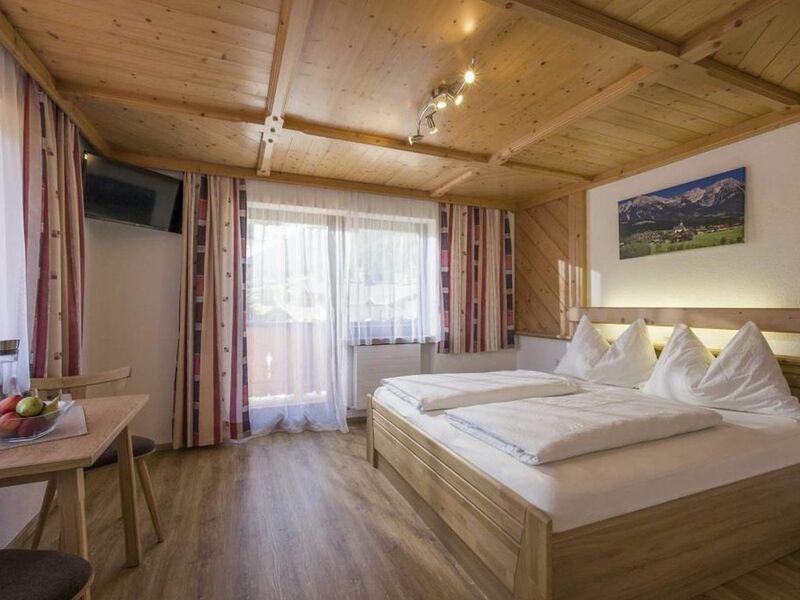 The cozy Tyrolean style double rooms are equipped with shower / WC. The double rooms are available with views of the Pölven, the Wilder Kaiser and the Hohe Salve. Our bed and breakfast in a cozy Tyrolean style is located in a quiet and sunny location and is only about 5 minutes walk from the center. In our cozy lounge you have the opportunity to use the cable TV, radio and refrigerator. In summer you can relax on our spacious lawn and for our younger guests there is a playground. In addition, we also offer a free ski storage room including ski boot dryer. In the entire house we offer free Wi-Fi!The ski bus stop for the ski bus (free) can be reached in a 2-minute walk. In the leisure facility Franzlhof (tennis, mini golf, sauna garden, which is located in the immediate vicinity, is also the entrance to our hiking area and the start of the sun and Schattseitloipe .We look forward to welcoming you in our house!